The International Association of Astacology (IAA) was founded in Hinterthal, Austria in 1972. Any individual or firm interested in furthering the study of Astacology is eligible for membership. Services to members include a quarterly newsletter (Crayfish News), membership directory, biennial international symposium and publication of the journal Freshwater Crayfish. The aim of the Association is to encourage the scientific study, conservation and wise utilization of freshwater crayfish. The main objectives of the Association are to provide for the dissemination of research findings relating to crayfish and to develop an international forum for the free discussion of problems relevant to crayfish. The Association supports the view that there is a need for the conservation of indigenous crayfish species and for their restoration where they have been eliminated. 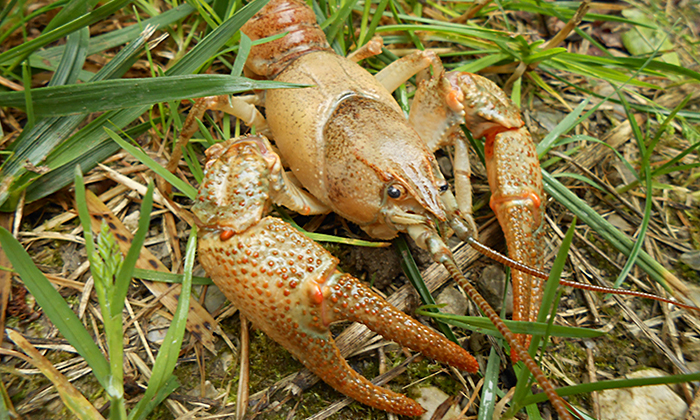 If crayfish are to be introduced outside their natural range, then Governments should be responsible for undertaking environmental impact assessments to ensure that these crayfish will not harm the native biota, including other species of crayfish, by means of predation and competition, transmitted diseases or parasites. The dangers of introducing crayfish outside their natural range have been highlighted in a Resolution passed at the Lausanne symposium in 1987 (see pg. XI in Freshwater Crayfish VII, 1988). Two further resolutions regarding maintenance of biodiversity and the use of crayfish as flagship species were passed at the Perth symposium in 2000 (see pp. 621–623 in Freshwater Crayfish 13, 2002). The idea for the first European symposium on crayfish was that of Sture Abrahamsson of Sweden in the early 1970s, who also suggested forming an association for astacologists and having a newsletter, although the first was not published until 1977. The first symposium in Hinterthal, Austria, in 1972, in fact became an international one as a number of American astacologists also attended. James Avault Jr. of the USA suggested a second meeting in Louisiana, and the International Association of Astacology took off from there. Ten of our current members have been made Charter Members of the IAA as they were at Hinterthal when the International Association of Astacology was formed and still retain an interest in the Association's affairs. Why "Astacology"? Per Brinck (Crayfish News Vol. 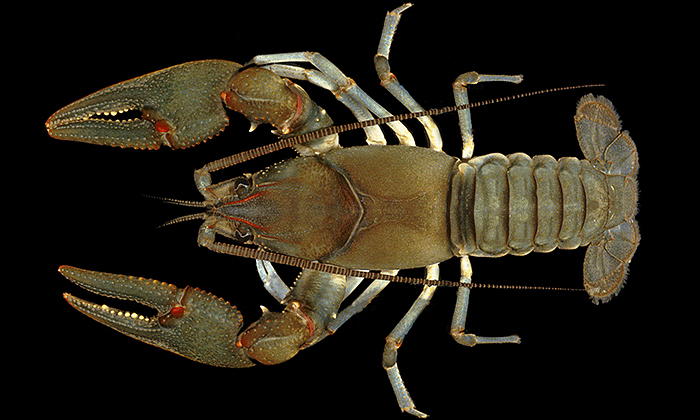 10(2), 1988) explained that the term "Astacology" was decided on for the Association's name due to the fact that it gave a good indication of what the Association was about, being derived from the name of an important freshwater crayfish (Astacus). Originally used by medieval authors for various decapod crustaceans, Astacus was adopted for the European freshwater species as Cancer astacus by Linnaeus in 1758, with Fabricius changing the generic name to Astacus in 1775. A very specific name was avoided as it might have changed through time, e.g., be synonymised. It aslo allowed for the fact that in the future the Association may be expanded to include other decapods. The International Association of Astacology is now a thriving organization comprising members from more than 40 countries with an interest in freshwater crayfish. Members come from all walks of life, including the crayfish farming industry, academia, and government organizations. The main aims of the IAA are to encourage the scientific study of crayfish for the benefit of mankind, to provide for the dissemination of research findings relating to crayfish, and to develop an international forum for free discussion of problems relevant to crayfish. These aims have not changed in more that 30 years. Since its formation in 1972 the IAA has gradually grown in size and complexity. It is fronted by a permanent Secretariat, but has elected officers (President, President-elect and Secretary/Treasurer) who run the organization on a two to three year cycle between symposia. The symposia provide a valuable forum for the exchange of information, usually attracting more that 100 delegates, including many students. The organizers try to secure funds to pay some of the expenses of astacologists from Eastern Europe and other geographical areas where members find it difficult to obtain funding for overseas visits. Local, regional, and national meetings are also encouraged by the IAA, which can offer limited funding. A newsletter, Crayfish News, is sent quarterly to all members and includes a wealth of up-to-date information. Members are encouraged to contribute articles on their research, observations they have made, and anything of interest to other astacologists. The newsletter is a particularly useful source of references -- so, if you publish something then send details to the editor -- including titles and summaries of Masters and Doctoral theses. A membership Directory is published biennially and sent to all members. This is a valuable source of information as it allows members to find out who else in their geographical area is interested in crayfish and who is an expert in a particular field. 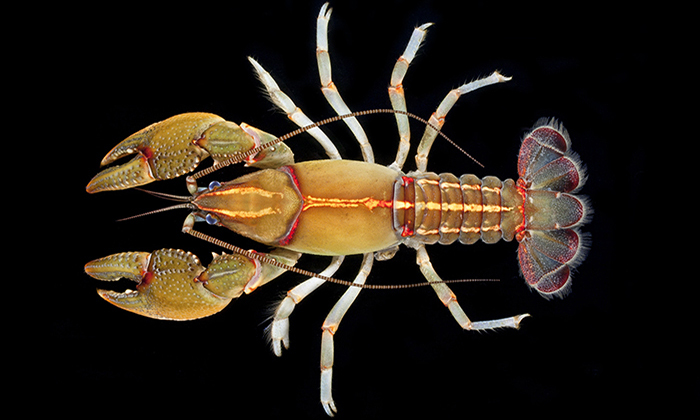 A Home Page has been set up and contains valuable information including further details of the IAA, its bylaws, and bibliography and index to papers in Freshwater Crayfish, and links to other useful sources of crustacean information and contacts [https://www.Astacology.org/]. Symposia---IAA symposia have been held in 11 different countries so far. The officers of the IAA welcome suggestions for future venues and from members willing to organize symposia. Seed money for such ventures is provided by the IAA although it is hoped that this will be returned after the final accounting is done! Funds are provided by the Sture Abrahamsson Memorial Foundation to help with the expenses of an invited speaker to give the Abrahamsson Memorial Lecture. Policy on Introductions---The Association supports the view that there is a need for the conservation of indigenous species and for their restoration where they have been eliminated. If crayfish are to be introduced outside their natural range then governments should be responsible for undertaking environmental impact assessments to ensure that these crayfish will not harm the native biota, including other species of crayfish, by means of predation and competition, transmitted diseases and parasites. The dangers of introducing crayfish outside their natural range have been highlighted in a Resolution passed at the Lausanne symposium in 1987 and published in Freshwater Crayfish 7 (1988). The problem in Europe has been highlighted in Gherardi & Holdich (1999). Membership---The IAA cannot survive without its members and the contributions they make to its symposia and newsletters. The membership fee is relatively low and covers a two-year period. Reduced rates are available for students and may even be waived for those having limited financial support. A higher rate is charged for corporate membership. Funds are needed for running the Association and for sponsoring its symposia and other meetings. The number of members varies from period to period and was at its highest in the mid-1990s. In 2003, the IAA granted affiliate membership to the German-speaking crayfish group "Forum Flussekrebse". This development was a major step forward for IAA, swelling membership to the 400+ levels achieved in the mid-1990s. The majority of members come from Europe and North America, although most geographical areas are covered. Publications by IAA members---As well as publishing in "Freshwater Crayfish" and many other journals, members have also produced a number of books and reports that are very useful sources of information on crayfish. Per Brinck (Sweden): An ecologist's approach to dealing with the loss of Astacus astacus. Davis, California, USA, 1981. Horton Hobbs Jr. (USA): Highlights of half a century of crayfishing. Lund, Sweden, 1984. David Holdich (England): The dangers of introducing alien animals with particular reference to crayfish. Lausanne, Switzerland, 1987. Charles Goldman (USA): Global impact and landscape change on crayfish ecology and introductions. Baton Rouge, USA, 1990. James Avault Jr. (USA): A review of world crustacean aquaculture with special reference to crayfish. Reading, England, 1992. Kai Westman (Finland): Introduction of alien crayfish in the development of crayfish fisheries; experience with signal crayfish (Pacifastacus leniusculus (Dana)) in Finland and the impact on the native noble crayfish (Astacus astacus (L.)). Adelaide, Australia, 1994. James Payne (USA): Adaptive success within the cambarid life cycle. Thunder Bay, Canada, 1996. Kenneth Söderhäll (Sweden): Crayfish plague - a lesson to learn from. Augsburg, Germany, 1998. Keith Crandall (USA): Crayfish as model organisms. Perth, Australia, 2000. Catherine Souty-Grosset (presenter), Frédéric Grandjean and Nicolas Gouin (France): Conservation and management of native crayfish populations. Queretaro, Mexico, 2002. Francesca Gherardi (Italy): Crayfish as global invaders: world distribution, impact on human wellbeing, and possible 'cures'. Innsbruck, Austria, 2012. [Due to illness, presented by James Fetzner]. To view e-mail addresses, please login to your user account. The International Association of Astacology, Inc. is a nonprofit, tax-exempt charitable organization under Section 501(c)(3) of the Internal Revenue Code. Donations are tax-deductible as allowed by law.